These are the two lucky friends who won the contest for the 1.000 likes on Facebook and the 1.000 subscribers on Youtube! 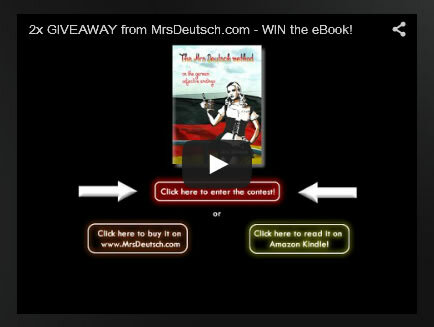 They both received my eBook "The MrsDeutsch Method on the German Adjectival Endings" per EMail FOR FREE! Congratulations and THANK YOU ALL FOR YOUR LOVE AND SUPPORT!!! MrsDeutsch.com is celebrating more than a 1.000 subscribers on Youtube and a 1.000 likes on Facebook! Celebrate with me, enter the competition and 2 OF YOU will get my eBook "The MrsDeutsch method on the German adjectival endings" for FREE!!! 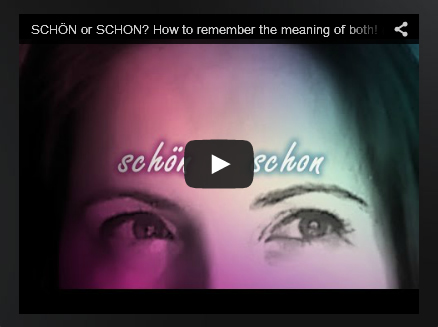 Are You Comfused About These Two German Words? Do You Forget Often Which One Means BEAUTIFUL And Which One Means ALREADY? With This Brilliant Trick You Got Your Problem Solved Once And For All! Quick and Easy to Remember!